Get your mastermind caps on, it’s time to put your general knowledge to the test. 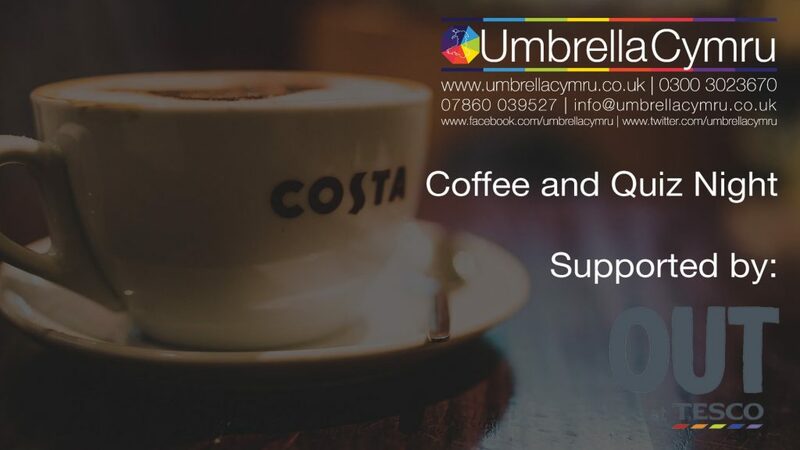 We have an established regular group who meet in Pontypridd and we’re hoping more people will join us. (Costa is open until 6 to grab yourselves a cuppa and a slice of cake). These nights generally take place on the third Thursday of every month (apart from December when we bring it forward). So here are all of the dates for your diary for 2017. We’re really looking forward to seeing as many of you there as possible. The quiz nights are open to anyone who would like to attend are designed to be safe spaces for LGBTQ+ people. Please feel free to bring a friend, partner, family member… or whoever you want to. We welcome anyone to the evenings, so come along, have fun and get to know people throughout the year. The coffee shop is shut off for us to use specifically, so we won’t be interrupted by anyone who isn’t attending the quiz. It’s a welcoming group and a comfortable environment, so whether you’re looking to meet new people, talk to other LGBTQ+ people, or if you’re questioning you gender or sexual identity and want to meet others or someone from our team, then pop along. We’d love to see you there.